Lamson’s HeavyDraw® straight oils are divided into two catagories, chlorine based and chlorine free. All of our straight oil products are designed for use in any type of metal stamping application and can be used in wash systems which skim out oil. We use only the highest quality additives to ensure the ultimate in tool life, rust protection and employee acceptance. 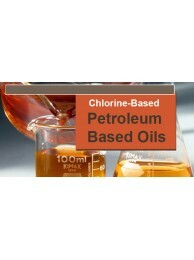 In most cases the heaviest applications can be accomplished with or without the use of chlorine. Light Duty Stamping Oil. An economical lubricant recommended for light-to-medium punching, piercing,.. Economical Heavy Duty Stamping Oil. A medium viscosity lubricant for moderate applications with..
Straight oil, medium viscosity formulated with mineral oil, lubricity agents and chlorinated EP addi.. Heavy duty punching oil designed specifically for punching of extremely thick metals. This oil conta..
Straight oil, medium viscosity material formulated with mineral oil, chlorinated EP additives, anti-.. Heaviest duty stamping oil A chlorinated honey-type compound, excellent on stainless steel and capab..
Light duty stamping oil. A medium viscosity lubricant formulated for stamping and deep drawing appli.. Medium duty punching oil. A medium viscosity lubricant formulated for use on steel and stainless ste.. Heavy duty drawing oil. A medium viscosity lubricant formulated for the heaviest drawing and stampin..